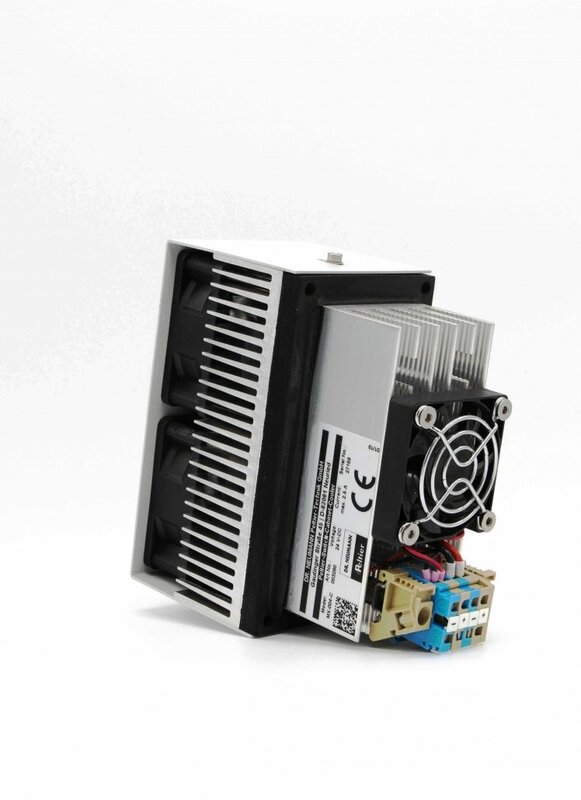 Our Peltier cooling units for air conditioning of control cabinets and enclosures combine quality with the advantages of Peltier technology. 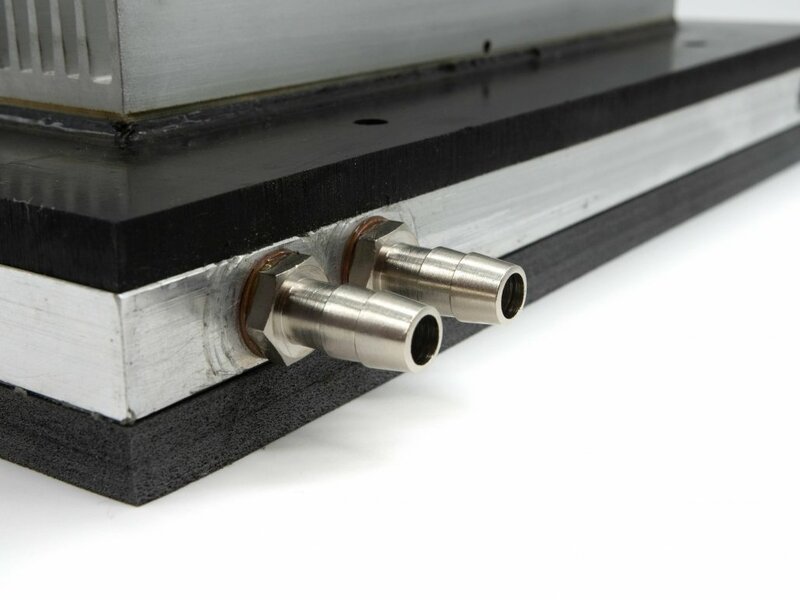 These include, for example, the conversion to heating operation, completely position-independent installation and simple and quick commissioning through the electrical connection. 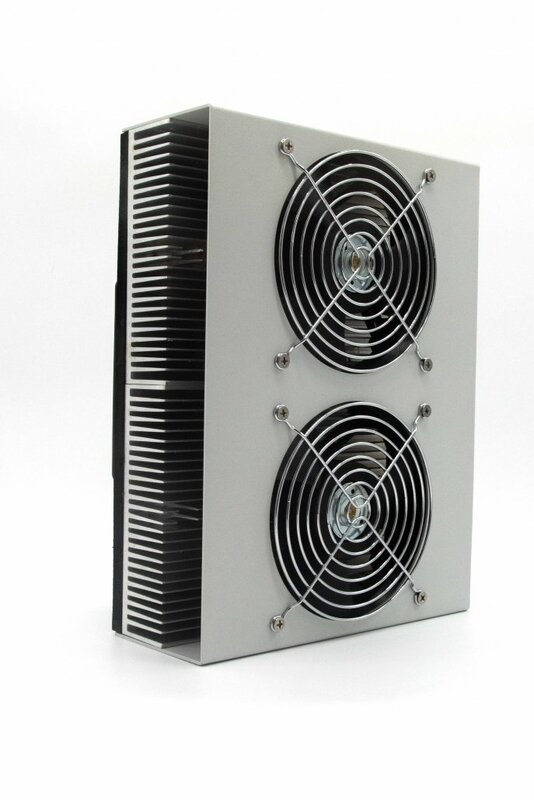 Peltier cooling units for control cabinet air conditioning can be equipped with sensors and control electronics as required. 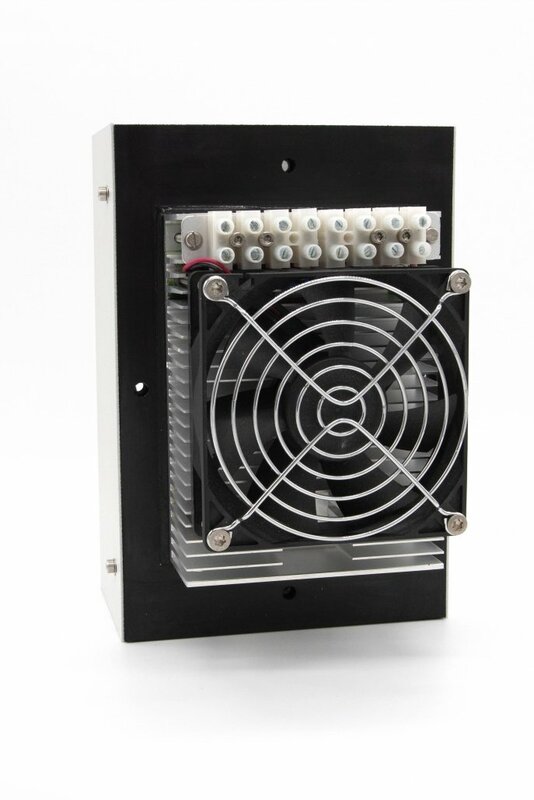 This avoids the formation of condensation water and achieves a high degree of efficiency of our Peltier control cabinet coolers. 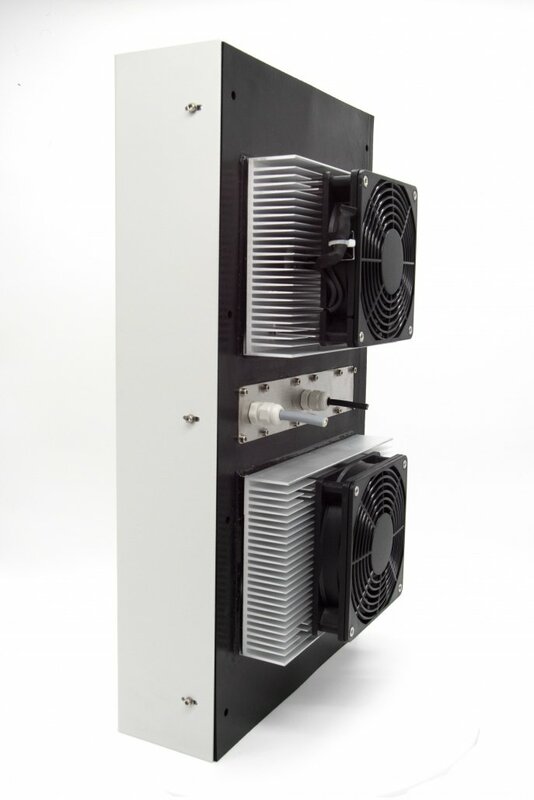 The Mini series control cabinet coolers are the smallest Peltier coolers in our product family. 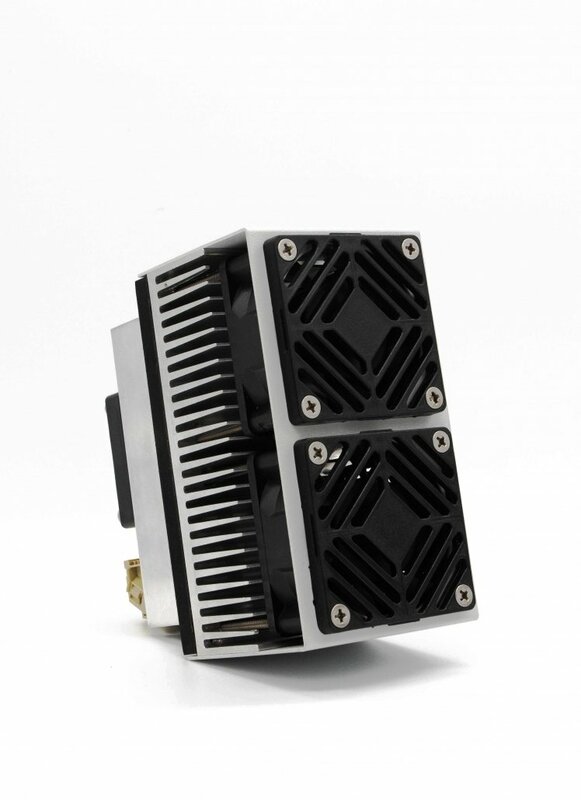 This also allows efficient cooling and heating of small applications such as small control cabinets or electronic boxes. 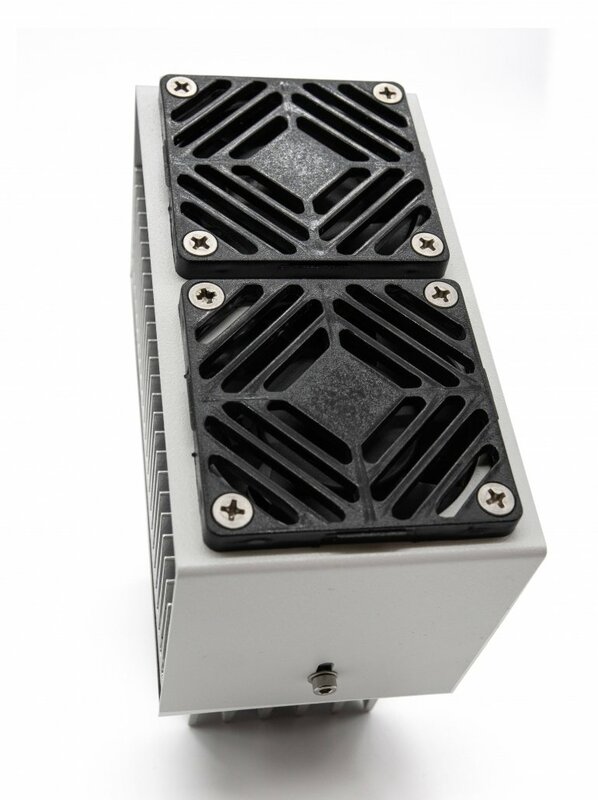 Like our other coolers, our mini cabinet cooler is extremely efficient and offers all the advantages of Peltier technology. 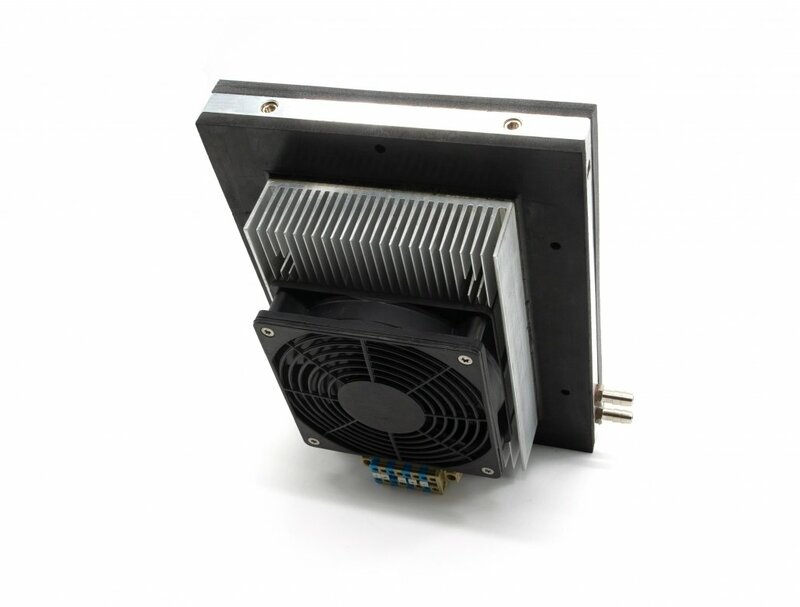 Our mini cabinet cooler is also equipped with alarm relays and overheating protection and complies with protection class IP-55. 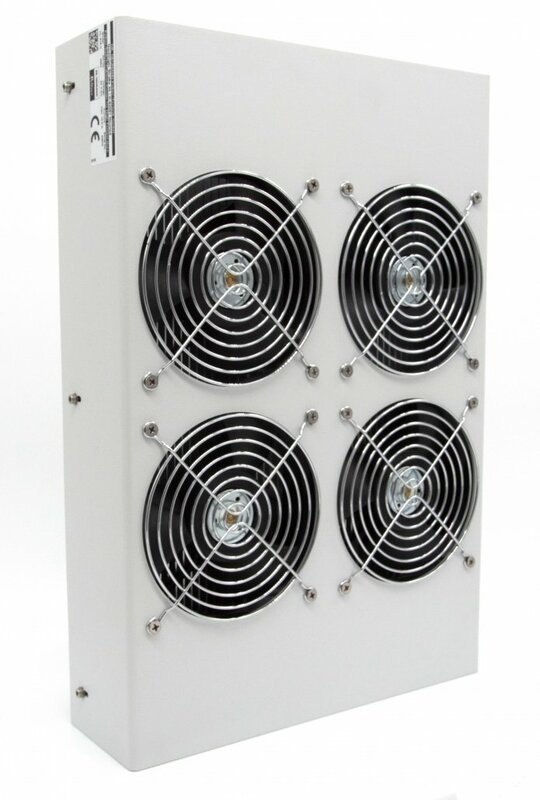 The control cabinet coolers of the “Standard” series are available in three sizes, each with three performance classes. They are characterised by their compact design and very high efficiency and offer outstanding performance despite their small size. 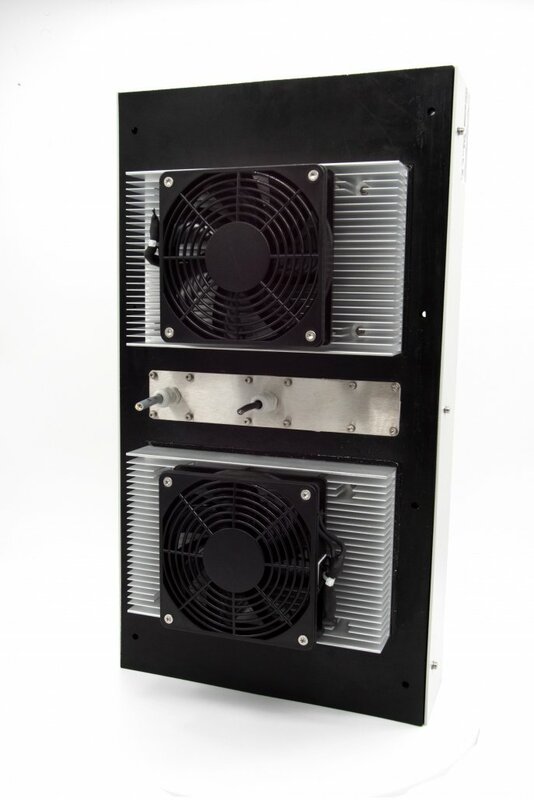 All “Standard” series control cabinet coolers are equipped with overheating protection and alarm relays. The exterior is designed to meet IP67 protection. 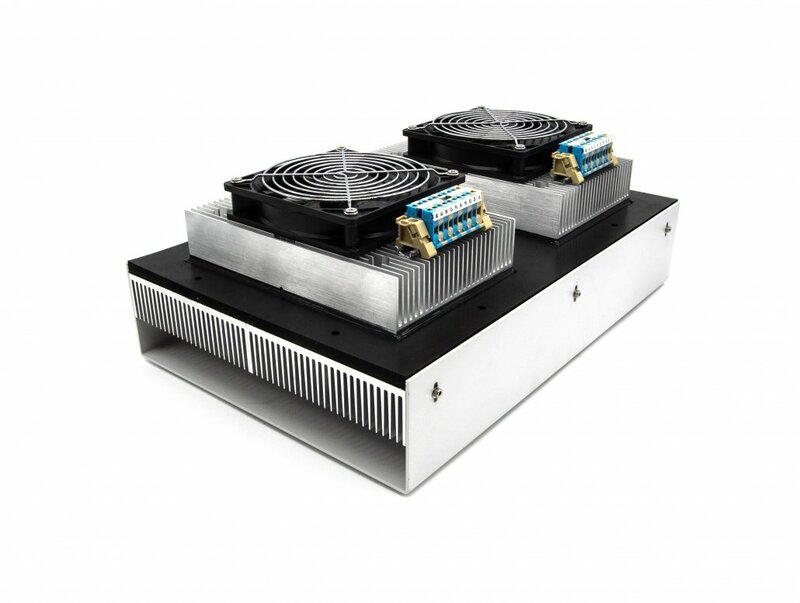 The control cabinet coolers of the “LRC” series were specially developed for use in machines. 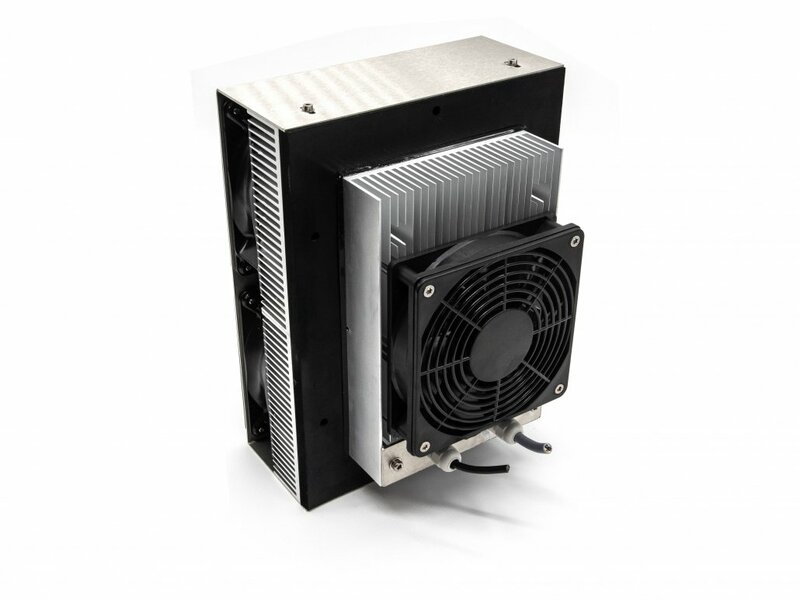 The cooling water usually available in these applications can easily be used to cool the units. 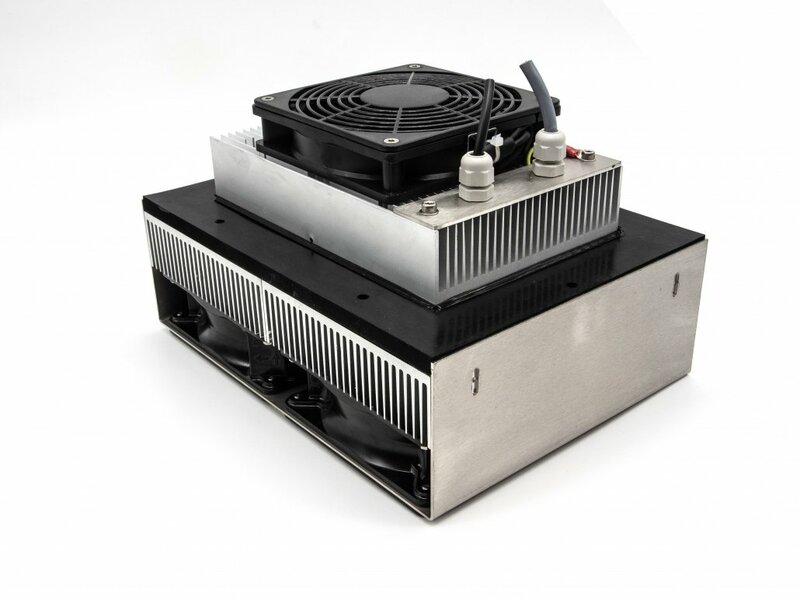 The “LRC” series combines high performance with compact size and cooling that is largely independent of ambient temperature. The water path and the position of the hose connections can be freely configured. 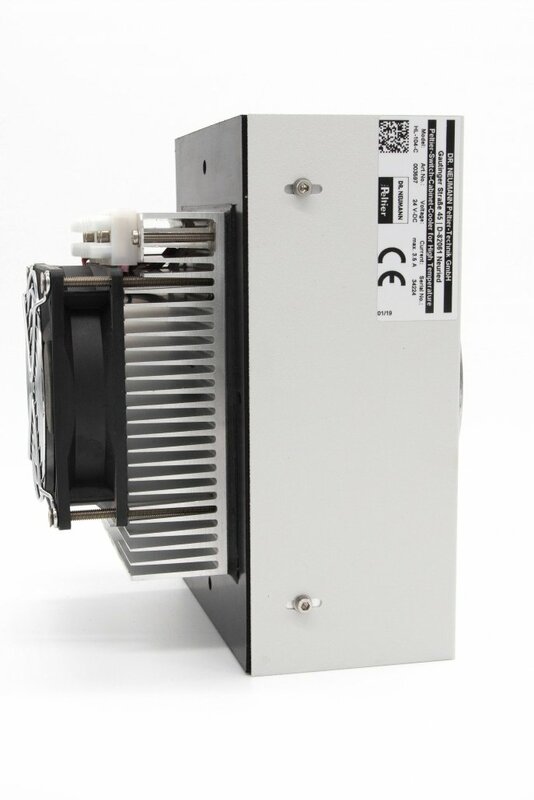 In addition, the “LRC” series offers all the advantages of Peltier technology, such as position-independent installation and the option of switching to heating. 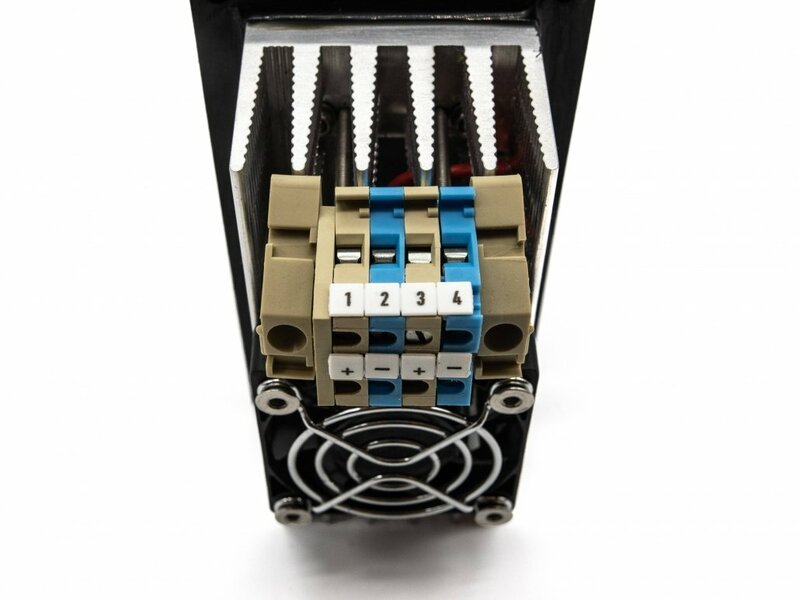 Modern production processes require control by means of high-performance electrical components. Switch cabinets house these and other partly sensitive electronics, which must be protected from external influences. 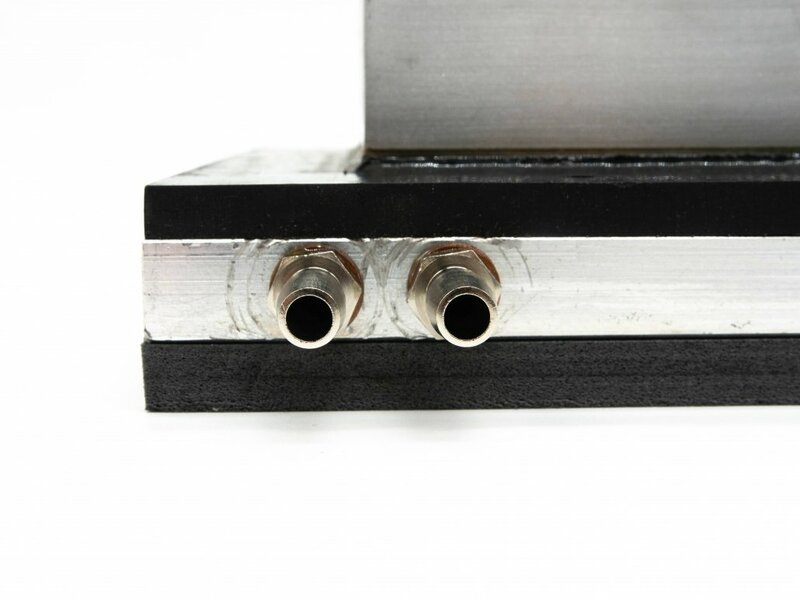 In addition to moisture from outside and condensation water inside, this also includes contamination and, above all, overheating of the components. In order to protect the components from overheating, air conditioning or temperature control of control cabinets is generally urgently required. In many places, the control cabinets to be air-conditioned are installed in places that are subject to particular external influences. 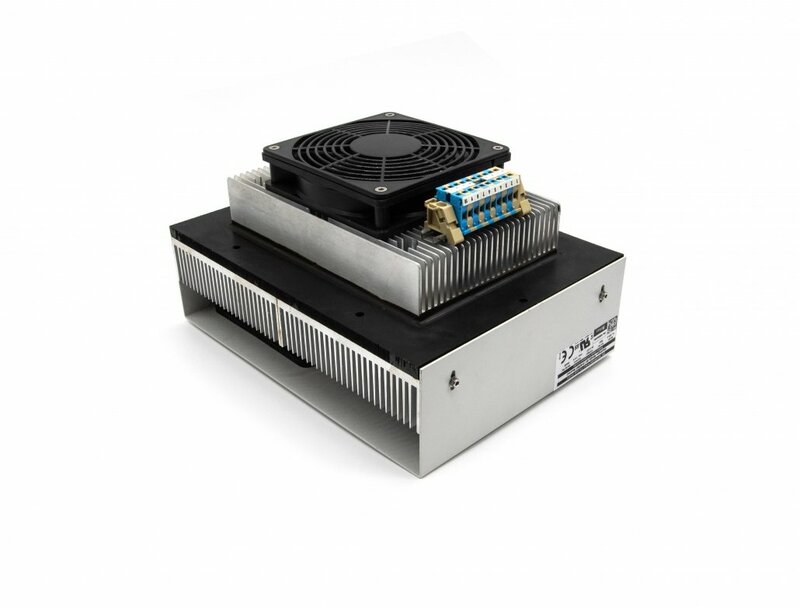 A particularly robust control cabinet cooling system is required that can withstand high ambient temperatures, polluted air, vibrations and sudden accelerations. 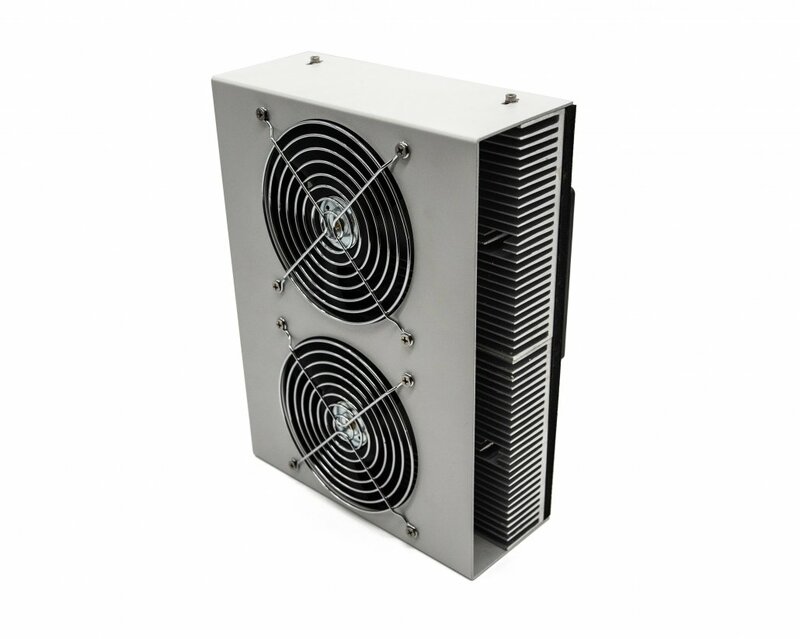 The use of control cabinet cooling units in outdoor applications also places special demands on air conditioning. 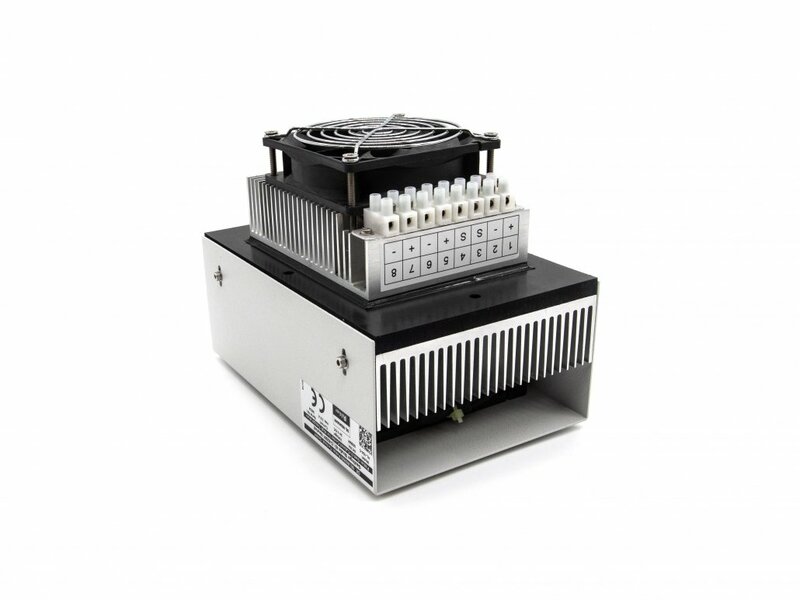 In addition to efficient cooling of switch cabinets to prevent overheating and the associated overloading of electronic components, temperature control and air conditioning of switch cabinets also includes heating of the interior of the switch cabinet. 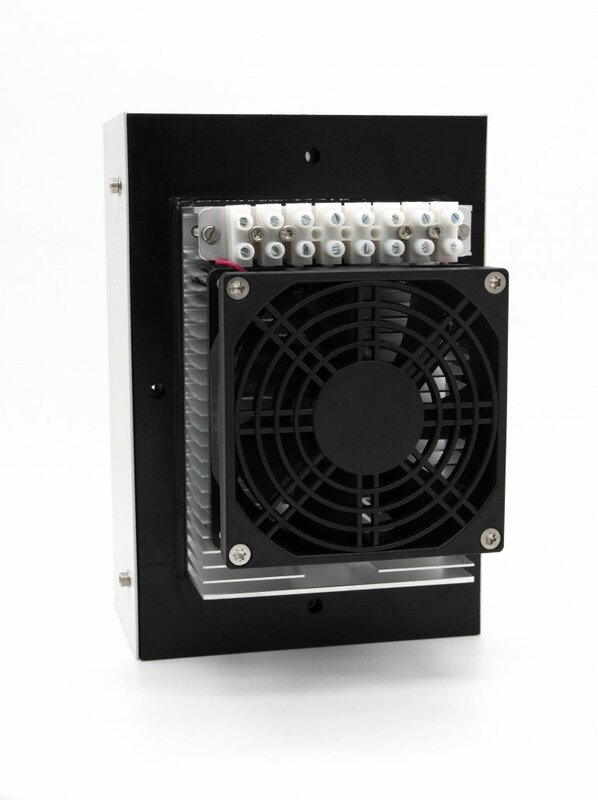 This is the only way to prevent the formation of condensation water in the control cabinet when using control cabinets in unheated environments, especially outdoors. The Dr. Neumann Peltier-Technik air conditioning units can easily switch between cooling and heating mode, thus ensuring a constant temperature inside the control cabinet. 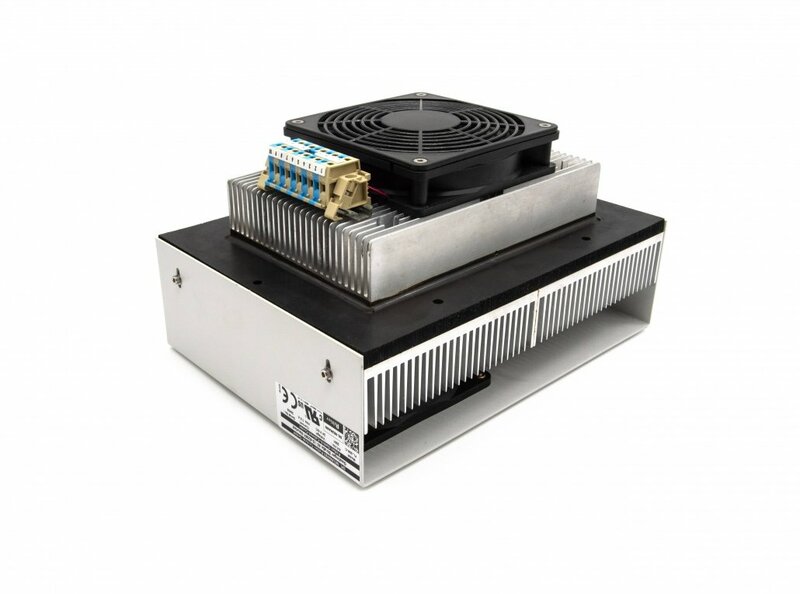 But even without switching to heating mode, you can use our Peltier control cabinet coolers thanks to our patented drain device without worrying about condensation inside the control cabinet. Especially in the field of automated production, modern production plants increasingly require the installation of switch cabinets at locations with changing orientation, such as on robot arms or other moving parts. 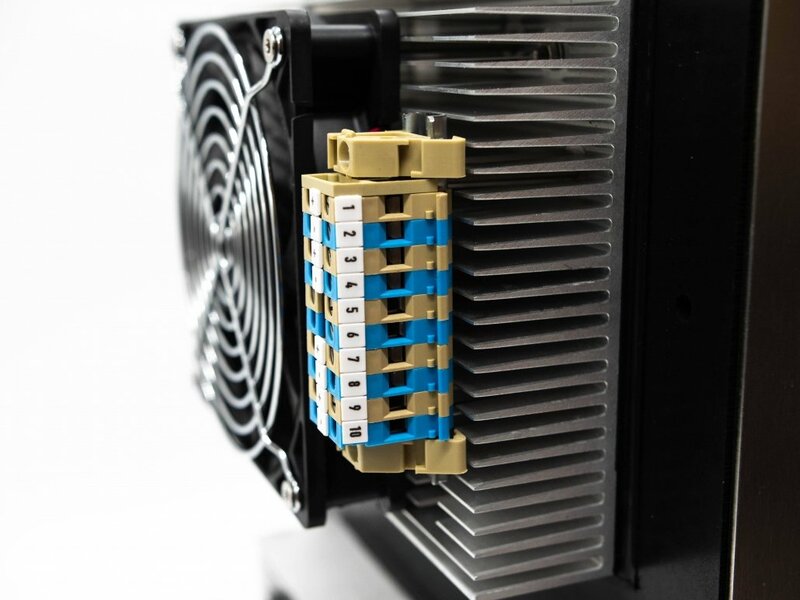 This is only possible with Peltier cooling units, because they can be installed in any position and still allow a reliable and direct cooling of the switch cabinet. Our products guarantee perfect control cabinet cooling and thus ensure low maintenance and reliability of your control electronics. 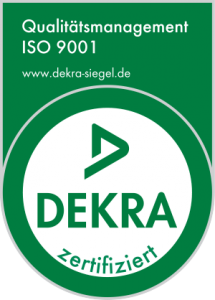 As Dr. Neumann Peltier-Technik GmbH, we attach particular importance to the quality of our products and thus also fulfil the requirements of the ISO 9001-2015 and OHRIS certifications and grant all our products a warranty claim over 2 years. The expression of our unconditional quality promise is of course also the unrestricted willingness to meet the needs of our customers, which is why we naturally manufacture any kind of adaptations or special designs on request. Do not hesitate to contact us in this regard. Further information on the gradation of the individual sizes and performance ranges can be found in our FAQ section. 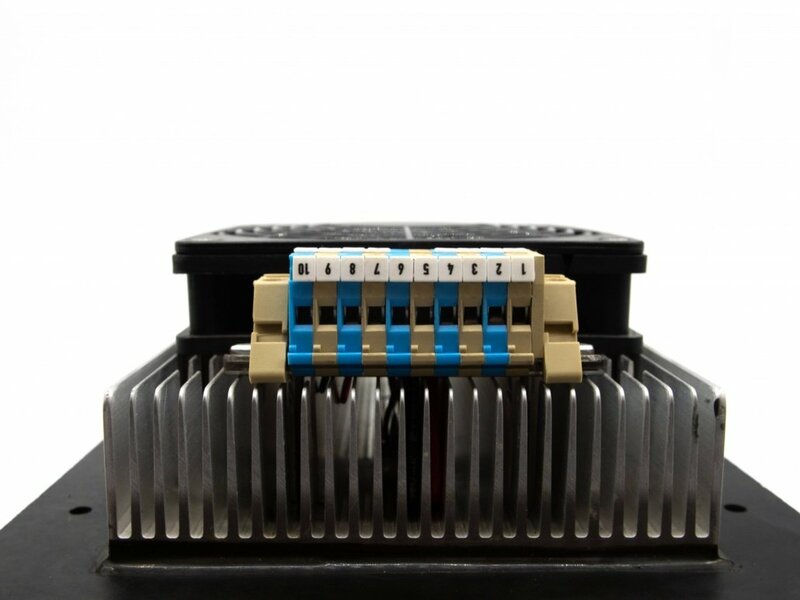 To ensure optimum functionality of your Peltier switch cabinet coolers and thus optimum temperature control of your switch cabinet, please visit the accessories page. 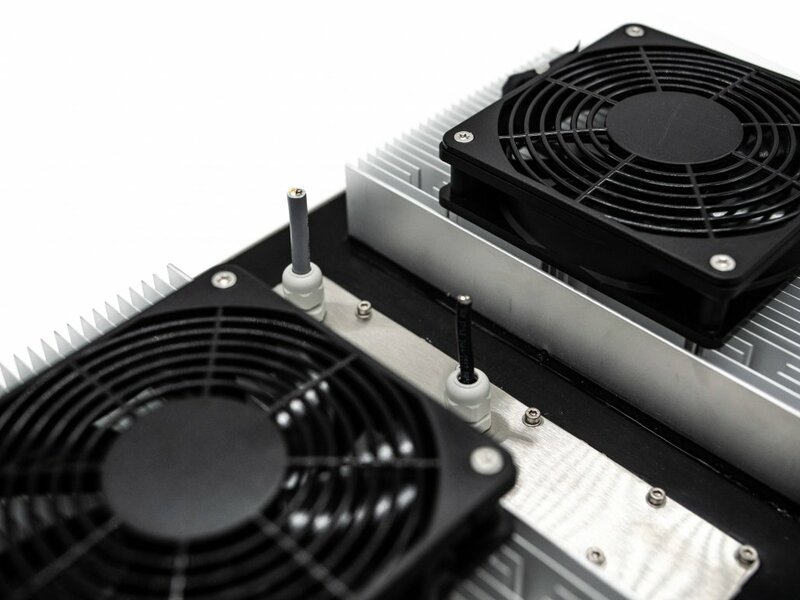 Here you will find many helpful accessories to help you with the control, monitoring, commissioning and monitoring of your Peltier cooling unit. You can’t decide or you are unsure which product fits to your specific project? 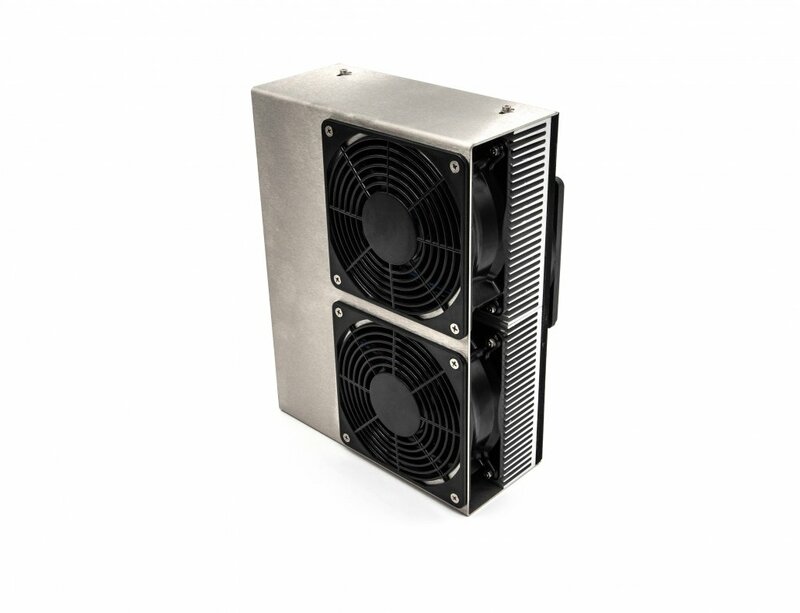 To recommend whether a size 1 cabinet cooler is suitable for your specific project, please visit our online configurator and compare the resulting results. Please do not hesitate to contact us for advice from our experts on which product is the most efficient solution to your problem!